Inspired Gaming was founded in 2010 by a private equity firm and his since specialised in sportsbook gaming. In fact, the company claims to be the world leader in developing and utilising sportsbook gaming technology. The company currently employs over 1,000 staff and operates in 30 countries, with offices in 10 countries. What the company offers is a range of games, as well as white-label solutions that are designed to help existing gaming businesses grow to the next level and to help develop new gaming businesses from the bottom up. Recently the company partnered with OpenBet in order to take sports betting from land-based casinos and to move it to both online casinos and mobile casinos. Inspired Gaming has a range of gaming solutions available for land-based casinos, online casinos and mobile casinos. The company currently has four solutions listed on its website: there’s Inspired Core, for sportsbook gaming and video lottery terminals; Inspired Betbox, for bet management; Inspired Virgo, for remote game servers and the final solution, which is a selection of support features. There are eight products available from Inspired Gaming. All of these have been designed to generate more income for whatever business they become a part of. 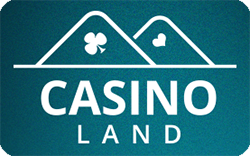 Some of the company’s products include Latin bingo, sports betting, UK slots, casino table gaming and virtual sports. Inspired Gaming have supplied a range of server-based slots to some 22 countries; in fact, the company is one of Italy’s top three suppliers of video lottery terminals. As for games, Inspired Gaming offers bingo, slots, casino games, as well as online and mobile games. One of the best features of the company is that it can supply any country with any game in any language. In order to attract and retain players, all of the games by Inspired Gaming have been carefully designed and use the most up-to-date technology. T&C's: Up to £100 in Bet Credits for new customers at bet365. Min deposit £5 and 1x settled bet requirement to release Bet Credits. Min odds, bet and payment method exclusions apply. Returns exclude Bet Credits stake. Time limits and T&Cs apply.